​Paris Saint-Germain have reportedly contacted Bayern Munich to discuss the availability of Portuguese midfielder Renato Sanches. The Ligue 1 giants currently find themselves desperately in need of reinforcements in midfield. Marco Verratti is set for a spell on the sidelines with an ankle injury, whilst Adrien Rabiot has been banished from the side after failing to renew his contract. 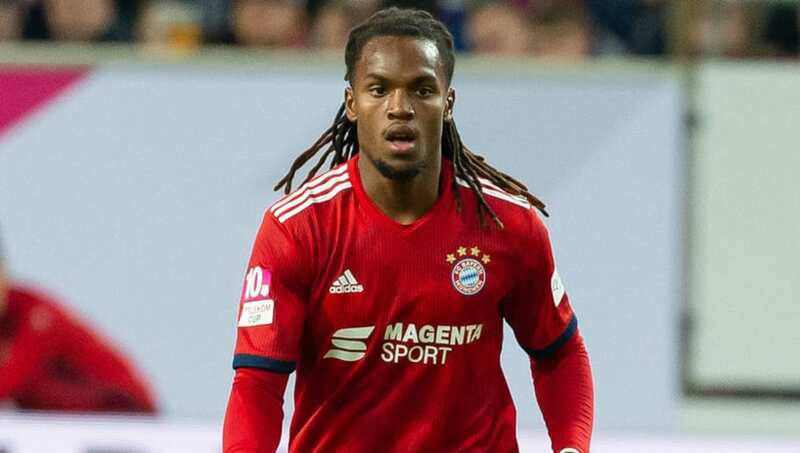 News of PSG's interest in Sanches comes from ​RMC Sport, who claim that the club have approached ​Bayern once again, having initially attempted to sign Sanches last summer. Sanches has been a regular part of Bayern's squad this season, making 16 appearances in all competitions. However, he has started just six games since the start of the campaign, with Niko Kovac preferring the likes of Joshua Kimmich, Leon Goretzka and Thiago in Bayern's midfield. The 21-year-old, who joined Bayern from Benfica for around £32m in 2016, is currently under contract at the club until 2021, meaning Bayern will likely be in no rush to part ways with the former Golden Boy award winner. However, they could be open to allowing Sanches to depart on a temporary basis, similar to his deal with ​Swansea City last season. The midfielder endured a challenging spell in the ​Premier League, making just 15 appearances in all competitions across an injury-hit campaign. Sanches failed to showcase his best form with Swansea, with arguably his most memorable act coming when he passed the ball to the image of a person on the pitch-side advertising board during a 1-0 loss to ​Chelsea. Given their struggles in midfield, PSG are also thought to be pursuing deals for Zenit Saint Petersburg's Leandro Paredes, ​Everton's Idrissa Gueye and ​Watford's Abdoulaye Doucoure. However, neither Everton nor Watford are keen to part ways with their stars, leaving PSG with just Paredes as a potential alternative. Centre-back Marquinhos has been used in midfield in recent weeks, whilst academy graduate Christopher Nkunku has also been afforded plenty of opportunities. However, there are concerns that PSG do not possess enough defensive-minded midfielders, and the club are now keen to rectify their issues.